El Nido and Taytay, characterized by limestone cliffs and underwater with many species of tropical fish and coral, also are present five species of endangered sea turtles. Jungle have about 100 different species of birds! So…this is a real amazing tropical destination to relax and enjoy yourself!!! In the southwest coast of El Nido you can visits some islands that are around Bacuit Bay. Romantic place, lot of coconut trees, and good coral reef. You can do snorkeling, diving and climbing. With the main cavern that turn into a smaller cavern is a burial site during the Neolithic period. With mangrove forest you can hiked the island for an amazing view. Reefs for divers and advanced snorkelers. Main snorkeling spots in El Nido, you can see sea turtles. Discover the “private” pool of the lagoon. Called Snake Island” because natural sandspit (s-shaped sandbar) that appears only at low tide. 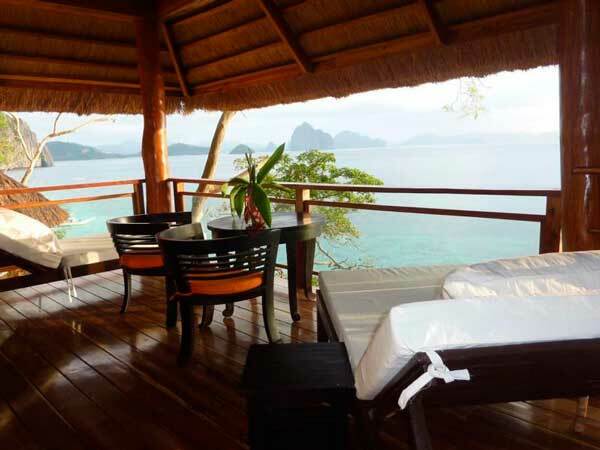 Featuring free WiFi and a restaurant, Vellago Resort offers accommodation in El Nido. Guests can enjoy the on-site bar. You can engage in various activities, such as island-hopping tours, kayaking and snorkelling. Offering free Wi-Fi access, A Place to Remember El Nido is situated along the coastline within a 3-minute walk from El Nido Wharf. It operates a 24-hour front desk and offers cosy rooms equipped with a fridge. Fitted with parquet flooring, the air-conditioned rooms feature en suite bathroom that comes with hot/cold shower facility and free toiletries. Rooms also include an in-room safe, minibar and a TV with cable channels. A Place to Remember El Nido has a tour desk that can assist guests with sightseeing and travel arrangements. Laundry, massage and airport shuttle service are also available on request at additional charges. A Place to Remember Restaurant serves a selection of international dishes, while the bar offers a variety of hot and cold beverages. 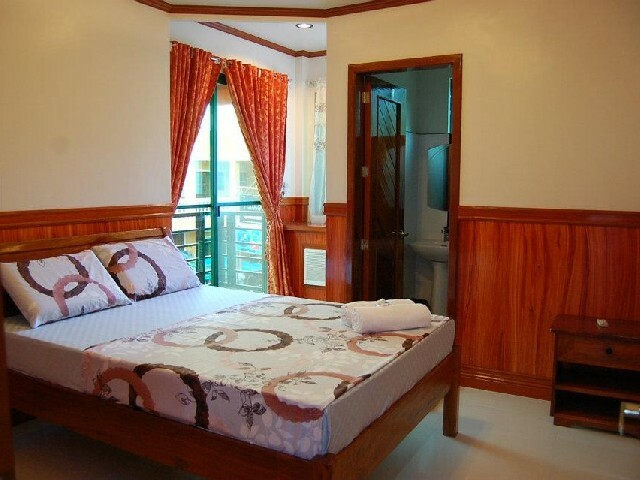 Tucked away in El Nido, Aqua Travel Lodge provides well-appointed accommodation featuring fully air-conditioned rooms. Guests also enjoy free WiFi access throughout the property. Offering ample natural light, all the rooms come furnished with a cable TV and cool tile flooring. Some rooms feature a private balcony. Bathroom facilities are en suite. Aqua Travel Lodge houses a 24-hour front desk with luggage storage space. Free parking facilities are offered to those who drive. Other amenities include a shared lounge, a tour desk and an outdoor terrace. The accommodation does not house a restaurant however meals can be freshly prepared and served in the room upon request. This beachfront property is about 14 km away from Artcafe. El Nido Airport is 10.4 km away while El Nido Ferry Terminal is within 14.5 km away. Balay Paragua is a bed and breakfast featuring rooms offering a balcony with mountain views and free WiFi in its common areas. A 3-minute walk to Bacuit Beach, the property has a 24-hour front desk and provides massage services for a fee. Located in El Nido, Balay Paragua is 30 m from El Nido Municipal Hall and St. Francis of Assisi Church. Lio Airport is a 20-minute drive away. Each room is fan-cooled or air-conditioned and has a seating area and outdoor furniture. Private bathroom comes with a shower and free toiletries. Other facilities offered include a ticket service and a tour desk. Welcome drinks are served to guests upon arrival and complimentary coffee or tea is available in the mornings. Breakfast can be arranged at a surcharge. Buena’s Haven Travelodge located right in between Las Cabanas beach and El Nido town, which are about a 5-minute drive away each. It is just a minute’s walk from El Nido Beach and a 2-minute walk from the Corong Corong seafront. It provides free parking and free Wi-Fi access in its public areas. The property is just a minute’s walk from the nearest convenience store. Offering mountain views, rooms are cooled with air conditioning and a fan. The attached bathroom offers hot and cold shower facilities, a bidet and toiletries. Select rooms also feature sea views. On-call massage services are available. Ticketing, laundry and airport shuttle services can also be arranged. Guests can get assistance with bicycle rental and island and inland tour arrangement. Situated just a 5-minute walk from the beach, Chariz Inn offers simple and comfy accommodation with free WiFi access in its public areas. It operates a 24-hour front desk and provides complimentary parking on site. 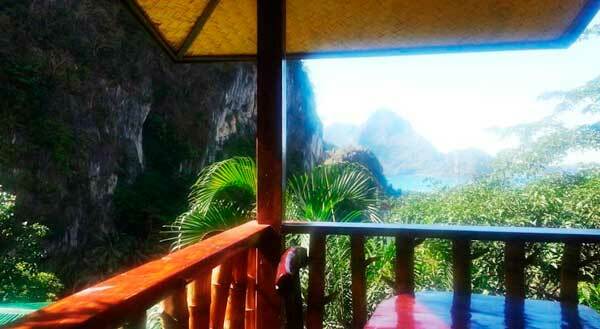 The property is within 230 m from El Nido Municipal Hall and 450 m from El Nido View-deck. El Nido Ferry Terminal is 700 m away. 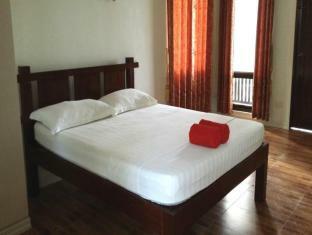 Fitted with wooden furnishing, rooms come with a fan, air conditioning, a clothes rack and freshly-laundered bedding. Rooms include an attached bathroom with shower facility, towels and a spray bidet. At Chariz Inn, guests can chill out at the common lounge area equipped with TV. Laundry and shuttle services are available, while tours and water sport activities can be arranged. 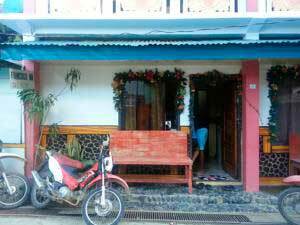 While Dayunan Tourist Inn does not house a restaurant, popular local eateries including Art Café and Blue Azul Restaurant are both situated just a 3-minute walk away. A few steps away from Corong Corong Beach , Desert Rose Hotel features cosy rooms with a private terrace boasting sea views. It also has a tour desk, which organises excursions to tourist attractions. Free Wi-Fi is available in public areas. Desert Rose Hotel is a 5-minute ride from Las Cabanas Beach and a 10-minute ride from El Nido Town. Puerto Princesa Airport is a 6-hour ride away. On-site parking is possible. Simply furnished, all rooms come with air conditioning, a seating area and a wardrobe. Their en suite bathroom is fitted with hot and cold shower facilities. Guests can enjoy local and international dishes at many famous restaurants located within a 1-hour ride away. A 2-minute walk from Corong Corong Beach, Doublegem Beach Resort offers air-conditioned rooms with a sea view. This beachfront property features a 90 m private beach area, on-site water sports including kayak and body boards. Free WiFi is available in public areas. The resort is a 10-minute drive to the city centre and a 15-minute drive to El Nido Beach. It is a 15-minute walk to El Nido Public Market. Puerto Princesa Airport is a 6-hr drive away. Rooms feature a balcony with sea view. They are fitted with a seating area and flat-screen cable TV. 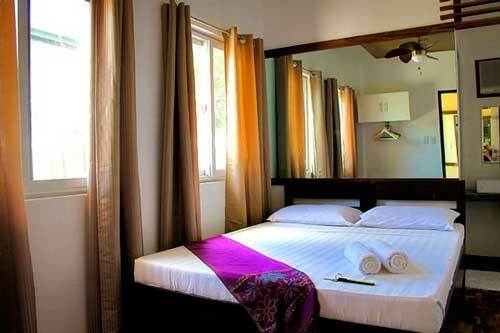 All rooms have an en suite bathroom with shower facilities, and daily housekeeping is included. The property features a 24-hour front desk, where massage services, luggage storage and tour information are available. For guests’ convenience, the resort provides airport shuttle at a surcharge and bicycle rental services. Tours to lagoons, beaches, top snorkelling sites, caves, Helicopter Island, Shimizu Island, and Matinloc Shrine can also be arranged. Breakfast, lunch or dinner can be served on the beach upon request. Local dining outlets can be found within 4 km. Featuring a large and open wooden deck overlooking El Nido Bay, El Gordo’s Adventures and Guesthouse provides dormitory and private rooms with free Wi-Fi. On-site water sport facilities and a 24-hour reception are available. Located in a fisherman’s village and away from the bustling tourist district, El Gordo’s is separated from the rest of the city by a foot bridge and rocky trail. A 2-minute walk from the guest house is the Sitio Tandul Basketball Court. It takes 3 minutes to walk to El Nido Bay and 5-minute to walk to El Nido Port. El Nido Airport is a 30-minute drive away. Guests can explore the surrounding area by bicycle or kayak and relax with a cold drink and snack on the deck after. Shared kitchen facilities are available, while the common lounge comes with a flat-screen TV and DVD player. 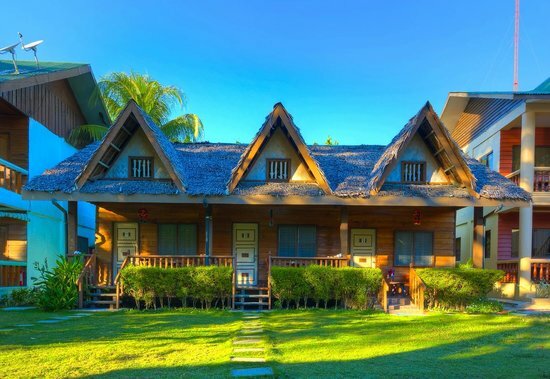 Just 300 m from El Nido Beach, Sei Nazioni Cottages offers a peaceful retreat in rustic cottages. The property offers free Wi-Fi, free parking and sweeping views of the mountains. 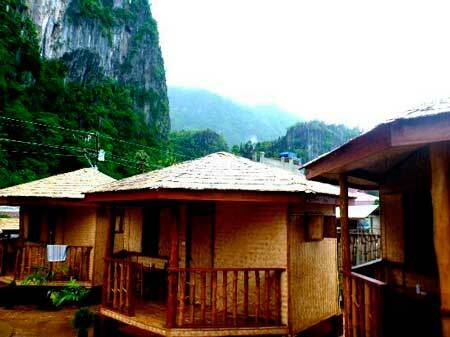 Equipped with either a fan or air conditioning, the cottages are made with local materials. Included in all units are a private balcony and an en suite bathroom with shower facilities. Guests can relax with a barbecue, or arrange for an island hopping tour. Shuttle services are also available upon request. Light snacks and refreshing beverages are served at the bar. In-room dining options are possible with room service. Cottages Sei Nazioni is a 15-minute tricycle ride from El Nido Airport. 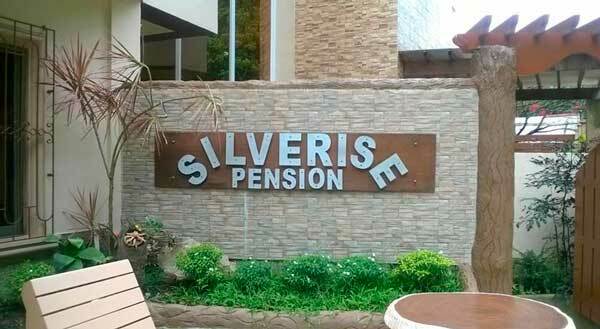 Silverise Pension has guestrooms with a private bathroom and free WiFi in its common areas. 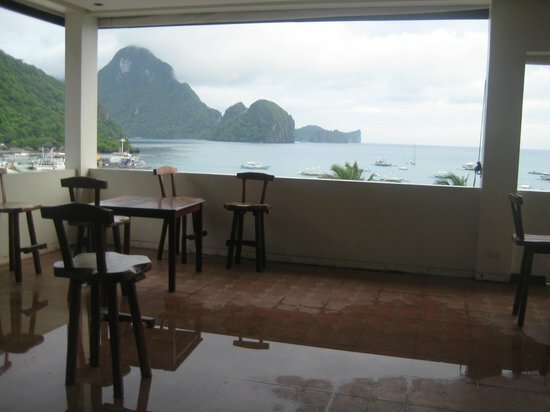 Located in El Nido, the property has a 24-hour front desk and offers free parking. A minute’s walk from El Nido Old Bus Terminal, Silverise Pension is 600 m from El NIdo Municipal Hall, 1 km from El Nido Ferry Terminal and 1.5 km from Bacuite Bay. El Nido Airport is 4.7 km away. Each room features a safe, desk and clothes rack. A seating area and private bathroom with shower is included. A currency exchange, bicycle rentals, laundry and ironing services are available at the property. Offering a restaurant and a private beach area, Tapik Beach Park Guest House is located in El Nido, a 5-minute drive from Cuyonon Heritage Museum and a 5-minute boat ride to Bubog Island. Guests can arrange day trips at the tour desk. Tapik Beach Park Guest House is a 30-minute boat ride from Imorigui Island. El Nido Town Proper is a 1-hour car journey away. You can enjoy sea and gardens view from the room. Private bathroom also comes with a bidet. At Tapik Beach Park Guest House you will find a garden and a bar. The property offers free parking. 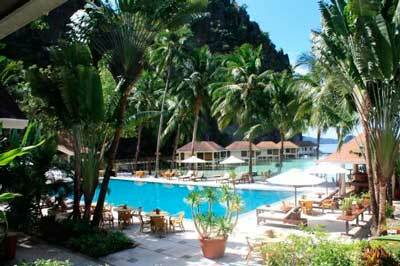 The Resort Bayview Hotel is a beautiful property located in the heart of Bacuit Bay in El Nido. The accommodation offers panoramic views of the surrounding rainforests and plantations. Free WiFi access is available in the common areas. Tastefully furnished, rooms are fitted with windows offering ample natural lighting. 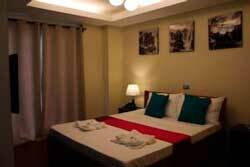 Air conditioning, tea/coffee making facilities and a comfortable seating area are included in all the rooms. Bathroom facilities are en suite. This property houses a 24-hour front desk. Friendly staff can arrange for water-sport activities including island-hopping and diving at extra charges. The hotel also offers massage, laundry/ironing services and free parking facilities. The Resort Bayview Hotel is only a 5-minute walk from Marimegmeg Beach. El Nido Town Proper is a 10-minute drive away, while ITI Airport is within a 20-minute drive. Both local Filipino and international cuisines can be enjoyed on request at the dining area. For alternative dining options, barbeque facilities are available. Situated just 10 m from the beach, Zaniya’s Pension offers simple and comfy accommodation with free WiFi access in the entire property. It operates a 24-hour front desk and provides daily housekeeping service. Featuring a balcony with seating area, air-conditioned rooms come with tiled flooring, a fan, clothes rack and a flat-screen TV with cable channels. The attached bathroom includes shower facility, towels and a spray bidet. At Zaniya’s Pension, the friendly staff can assist guests with luggage storage, laundry services and tour arrangements. An array of activities such as cycling, diving and snorkelling are also available. Only 400 m from the nearest beach, Francisco Inn is tucked away in El Nido. It offers free WiFi access and simply furnished guestrooms. Rooms are cooled with either a fan or air conditioning. Amenities include clean linen sheets and windows offering natural light. Bathroom facilities are en suite and equipped with showers. Guests can prepare light meals and snacks at the shared kitchen area. The outdoor terrace sets the perfect spot for guests to enjoy a cup of coffee or socialize with each other. Staff can arrange for island-hopping tours and other water-sport activities upon request. Francisco Inn is located 1 km away from Public Market and about 1.1 km from El Nido Bus Terminal. Garnet Hotel is located just a 2-minute walk from El Nido Beach and provides simple and comfortable accommodation with hot shower facilities. Wi-Fi is available for free in public areas. The hotel is located a 15-minute drive from El Nido Airport and within a 10-minute walk from a bar and a souvenir shop. The hotel’s tour desk helps guests organise excursions to the region’s attractions. The rooms at Hotel Garnet are fully air conditioned and well equipped with a flat-screen cable TV, a writing desk and a seating area. Some rooms have a private balcony. Guests can request for laundry services, as well as, room service. Habibi Restaurant offers an international menu for guests’ convenience. 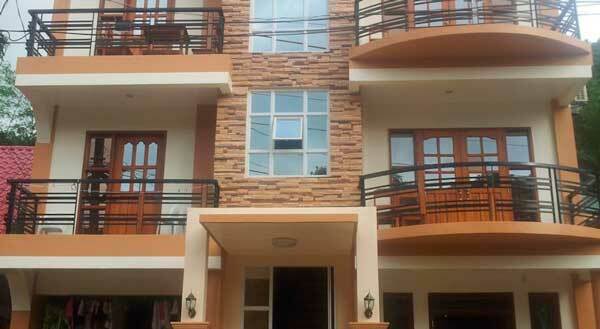 Inngo Tourist Inn offers rooms with a balcony and with free Wi-Fi. 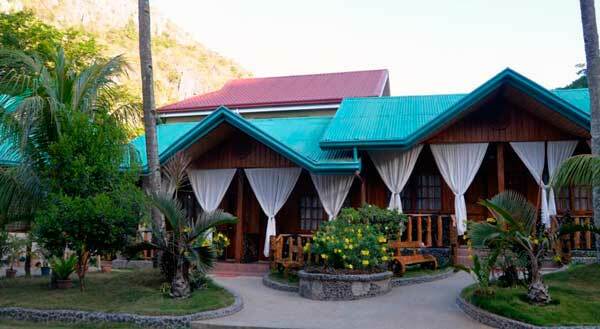 Located in El Nido, the inn is a 2-minute walk from the beach. It features a tour desk and has an outdoor seating area. A 10-minute walk away is Altrove Restaurant, which specialises in pizzas and pastas. El Nido Airport is 3.5 km away. Mountain views can be enjoyed from the air-conditioned rooms. Private bathroom includes a hot and cold shower. 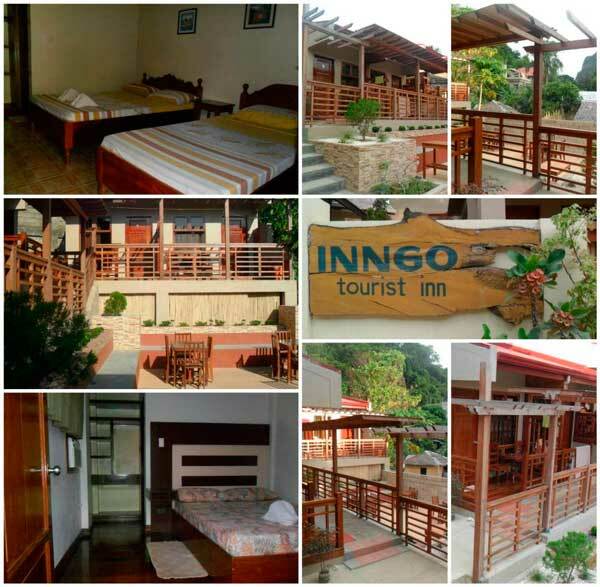 Set amidst lush greenery, Ipil Suites El Nido features a restaurant and comfortable rooms with free Wi-Fi access. It has a common lounge area with a TV, while parking space is provided on site at no charge. 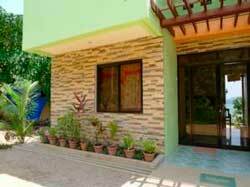 The property is conveniently located within a 15-minute drive from El Nido Airport. El Nido Transportation Terminal is just an 8-minute drive away. Fitted with tiled flooring, rooms come with air conditioning, a personal safe, clothes rack and freshly-laundered bedding. The en suite bathroom includes hot/cold shower facility, towels and free toiletries. Guests may approach the friendly staff for assistance with tours and sightseeing activities. The in-house Garden Grill Restaurant serves a delectable spread of local and international dishes, accompanied with sweeping views of the sea and surrounding mountain cliffs. Room service is possible. 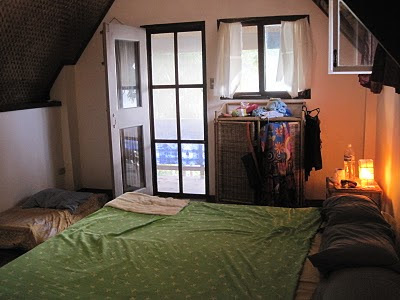 Situated along the shores of El Nido, Joaquinn’s Bed and Breakfast offers simple and comfy accommodation with free WiFi access in its public areas. It operates a 24-hour front desk and provides free parking on site. Conveniently located, it is just a 2-minute walk from El Nido Ferry Terminal and a 10-minute drive from El Nido Bus Terminal. El Nido Airport is approximately 20 minutes drive away. Offering mountain views, air-conditioned rooms come with a fan, clothes rack and a flat-screen TV with cable channels. Complimentary coffee and drinking water are provided. The attached bathroom includes shower facility, towels and free toiletries. At Joaquinn’s Bed and Breakfast, activities such as fishing, diving and snorkelling can be arranged. Laundry and ticketing services are available, while tour excursions and airport transfers can be provided at a surcharge. The property serves a tasty selection of Continental and local dishes for breakfast. Conveniently located, Jurias Pension offers modern accommodation within 10 minutes’ walk from Corong Corong Beach, El Nido Beach and El Nido Town Proper. Free WiFi access is available in the lobby. Fitted with a private balcony, rooms feature air conditioning, tiled flooring, a desk and wardrobe. Rooms have garden views and come with en suite bathroom offering a shower. Surrounded by calming greenery, Jurias Pension provides free parking. 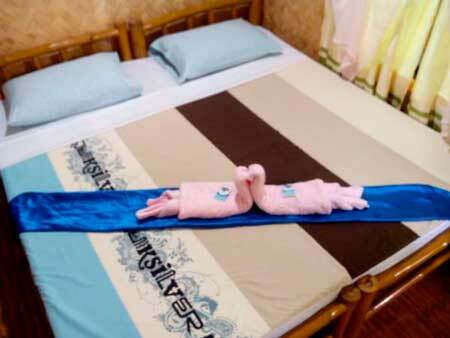 The staff can assist with laundry service and sightseeing arrangements. Massage and table tennis are also available. Solar power is used for the hot showers and lights of the property building. While not housing a restaurant, guests can still indulge in a spread of local and international dishes served at Sky Grill Restaurant, just 3 minutes’ walk away. 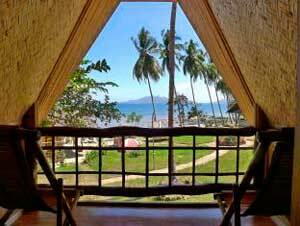 Guests can enjoy a view of Mount Taraw and Corong-corong beach. Jurias Pension is only 3 minutes’ walk from El Nido Transportation Terminal. Puerto Princesa Airport is approximately a 6-hour drive away. La Salangane El Nido is located in El Nido, just a few short steps from El Nido Beach. Offering a private restaurant, the hotel also provides free Wi-Fi access at all public areas. Featuring a private balcony, some offering beautiful sea views, rooms all come with wooden flooring. Equipped with a shower, en suite bathrooms also come with free toiletries and bath towels. 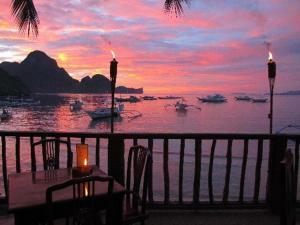 At La Salangane El Nido, you will find a terrace and a bar. Other facilities offered at the property include a tour desk and laundry services. Various water-sport activities including diving and snorkeling can be arranged upon request. 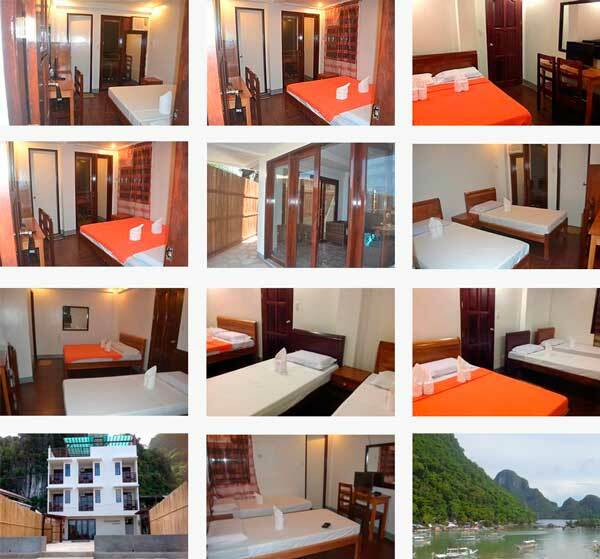 This affordable accommodation is located 280 m from El Nido Municipal Hall and 850 m from El Nido Old Bus Terminal. El Nido Airport is only 5.4 km away. Guests can enjoy French cuisines as well as seafood specialties freshly caught by local fishermen at La Salangane Bar and Restaurant. 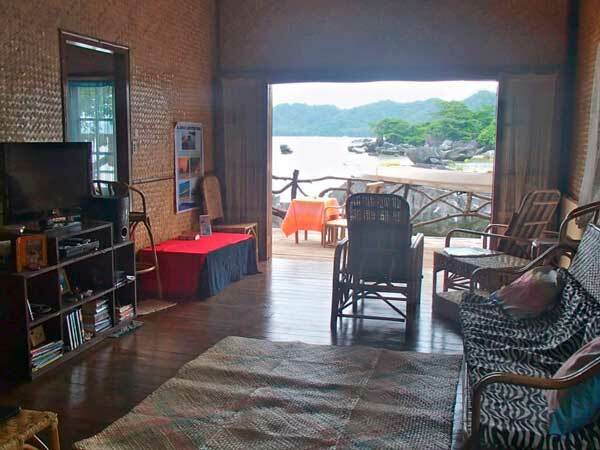 Located in Bacuit Bay, Makulay Lodge and Villas provides comfortable accommodation with views of the sea. This beachfront property has a restaurant. Simply furnished, rooms and villas come with either a fan or air conditioning. Offering daily maid service, they include a private bathroom equipped with towels, shower and free toiletries. At Makulay Lodge and Villas, guests can enjoy water sports activities such as diving and snorkelling. Massage service and airport transfers can also be arranged, while currency exchange, laundry and barbecue facilities are available on site. Housing a restaurant, a tasty selection of local dishes will be served. Guests may also enjoy meals in the privacy of their rooms. 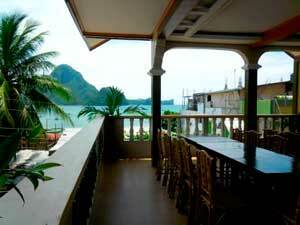 Mezzanine El Nido Inn is a beach front property boasting views over the bay of Bacuit and its islands. Featuring air-conditioned rooms and free WiFi in common areas, the inn has its own restaurant and bar. 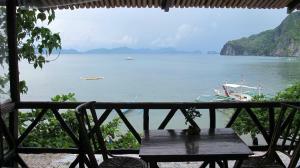 Mezzanine El Nido Inn is less than 100 m from El Nido Adventure Scuba. El Nido Ferry Terminal is 250 m away while El Nido Municipal Hall is 400 m from the property. El Nido Airport is 5.5 km away. Offering views, each room features a dining area and clothes rack. Guests have access to a shared bathroom. Recreation facilities for guests include kayaking, diving, island hopping tours and cycling. Guests can relax with a massage. International, Italian and Thai cuisines can be sampled at the inn’s restaurant, which also offers room service. 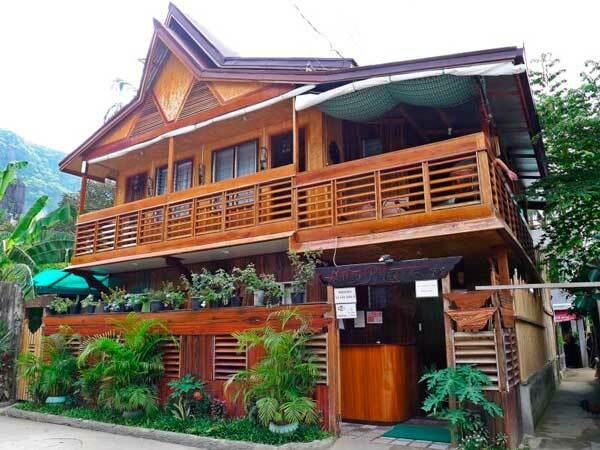 Novie’s Tourist Inn offers a jungle setting in El Nido, approximately 100 m from Bacuit Bay and Corong Corong Beach. It features rooms and cottages looking onto its tropical gardens. All accommodation at Novie’s Tourist Inn has traditional, lightly coloured décor with bamboo and wooden finishes, a fan and a bathroom. Family rooms also include a kitchenette. Free WiFi access is provided at the lobby. You can make use of a shared kitchen. Room service and a laundry service are also available. A small restaurant serving Filipino dishes is available on site. Staff can arrange activities including kayaking and diving. Las Cabanas Beach is a 15-minute drive away and sights including Mount Bubulugan and Bulalacao Falls are also nearby. El Nido’s Jeepney, Bus & Van Terminal is just 5 minutes’ drive away and El Nido Airport can be reached via a 30-minute walk. Only steps away from Maregneg Beach, Orange Pearl Beach Resort provides simple and charming guestrooms featuring a private balcony. Guests also enjoy free WiFi access at all public areas of the property. Rooms overlook sweeping sea views and offer air conditioning or a fan. They also have mosquito nets and an attached bathroom featuring a shower and toilet. Staff at the 24-hour front desk will be happy to arrange for activities including fishing, hiking and snorkeling. This beachfront property also provides shuttle services and traditional massages. Accompanied by beautiful sea views, the in-house restaurant will serve both local and international dishes. It also provides 24-hour room service. 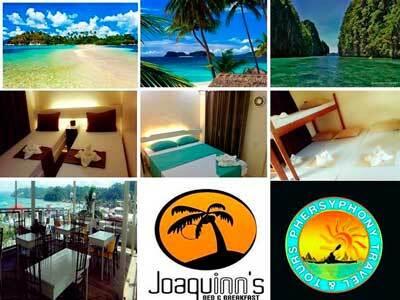 Orange Pearl Beach Resort is only 3 km from El Nido Bus Terminal and 7 km from El Nido Airport. Offering excellent views of the surrounding islands, Plankton Divers – Zion’s Welcome Inn is a beachfront property which provides cosy accommodation and easy access to watersport facilities. Guests can enjoy island hopping, inland tours, scuba diving and snorkelling. WiFi is available for free. The bed and breakfast is located a 10-minute drive from town and a 5-minute drive from the market. Puerto Princesa International Airport is a 6-hour drive away. Cooled with either air conditioning or a fan, rooms are equipped with a desk. Bathrooms come with a shower. Laundry and an airport shuttle services are available on request. All rooms and suites at the Four Seasons Resort & Restaurant have a balcony. Featuring an outdoor pool overlooking the beach, the resort offers beach access to Corong Corong Beach and free Wi-Fi in its common areas. A 5-minute drive from Four Seasons Resort is El Nido Public Market and Las Cabanas Beach. El Nido Town is a 10-minute drive away. Puerto Princesa is accessible within a 6-hour drive. All rooms and suites include a flat-screen cable TV and desk. A seating area and private bathroom with hot and cold shower and free toiletries are provided. Staff of the resort can provide tour assistance. Guests can relax with a massage or the more adventurous can go diving and snorkelling. 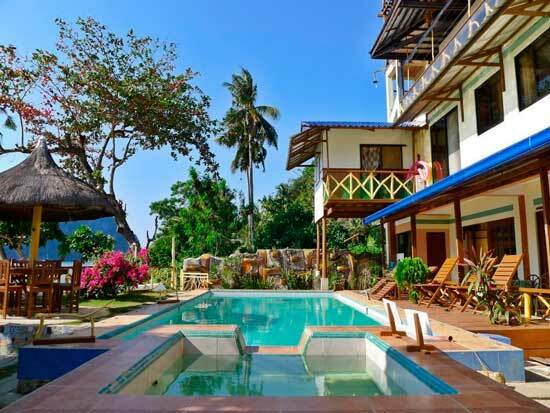 Situated along the shores of Caalan Beach, El Nido Reef Strand Resort offers tranquil and comfortable accommodation with free WiFi access in its public areas. It has free parking space and provides housekeeping services on request. The property is just a 15-minute walk from Church St. Francis of Assisi Parish, while El Nido Port and Squidos Hilltop Restobar are within a 5-minute drive away. El Nido Airport is accessible with a 20-minute drive. Offering spectacular views of mountain and the sea, air-conditioned rooms feature a desk, wardrobe and a private balcony with seating area. The en suite bathroom comes with shower facility, free toiletries and a spray bidet. At El Nido Reef Strand Resort, guests may rent a bicycle or enjoy activities such as fishing, diving and snorkelling. Massage and laundry services are available, while tour arrangements can be made. The resort offers daily breakfast for guests’ convenience. 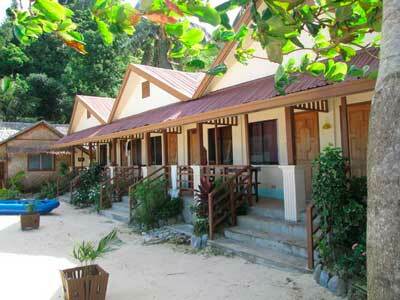 Set in a cove bordered by thick forests, Lagen Island Resort is located in beautiful El Nido, Palawan. An on-site marine sports centre offers activities like diving, kayaking and windsurfing. Guests can enjoy observing wildlife on the property or swimming with tropical fishes. Resort activities include hiking, snorkelling and mangrove or cave tours. The resort also has an outdoor pool, a spa and a library. Feature antique wood floors and reclaimed wood furnishings, rooms come with a CD player and minibar. Floor-to-ceiling glass doors open up to a private balcony overlooking the cove, bay or cliffs. Each room has a private bathroom with shower facilities and bath amenities. Buffet and à la carte meals are served at the air-conditioned clubhouse, while refreshments are available at the poolside bar. Picnic lunches can also be arranged. 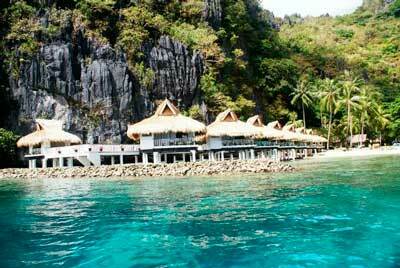 Lagen Island Resort can be reached via a 75-minute charter flight from Manila to El Nido Airport. Free transfers are provided from El Nido Airport, which is a 50-minute boat ride to the resort. Miniloc Island Resort is set in a peaceful cove in El Nido, Palawan. Designed like a coastal village, the resort offers a wide range of tours and beach or water activities. Built with native materials, rooms feature thatched roofs and wooden flooring. Each air-conditioned room comes with a minibar, a wardrobe and a vanity area. Private bathrooms provide shower facilities and a hairdryer. Resort activities include diving, windsurfing and Hobie Cat sailing. Sunset cruises and cave, lagoon or mangrove tours are available. Guests can also enjoy the natural scenery and the tropical marine life in the waters fronting the resort. International dishes can be enjoyed at the restaurant, located at the Miniloc Clubhouse. Picnic lunches on the beach can also be arranged. Miniloc Island Resort can be reached via a 75-minute charter flight from Manila to El Nido Airport. Free transfers are provided from El Nido Airport, which is a 40-minute boat ride to the resort.